I noticed right away in my search that entering the search term “tetris” in iTunes only returns EA games, and nothing else. There is definitely at least one other Tetris clone in the app store as of this writing, which seems weird considering the number of other clones that have been sent cease and desist letters from the Tetris Holdings Company. The first one I knew about was Tris, but apparently that high-profile takedown hasn’t stopped games like GiftBoxes, Teto Teto, Kafablo, Shaker or Communist Blocks from getting approved. Of those, only GiftBoxes is still available in the US store. I have c-blocks on my phone, so I know it was available at some point not that long ago. I assume they got sent a letter the same as everyone else, but I can’t find any record of it. Anyway, this post is not meant to be about tetris clones. 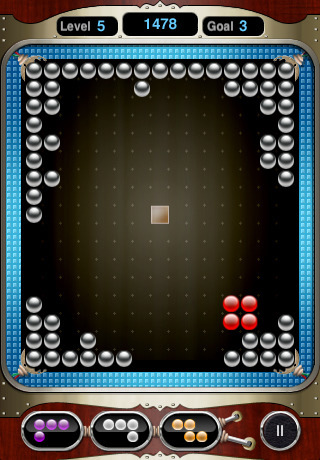 It’s about games that use Tetrominos as a core element of gameplay, and how their game mechanics differ from those of the traditional Tetris. The first I’m going to talk about is a new-to-me game called Sequoia Touch. 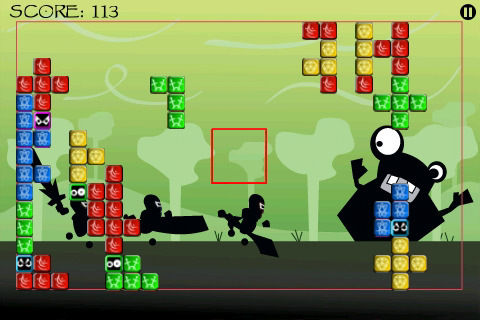 The pieces used are standard tetris pieces, but, as you can see from the screenshot, the playing area is much larger. 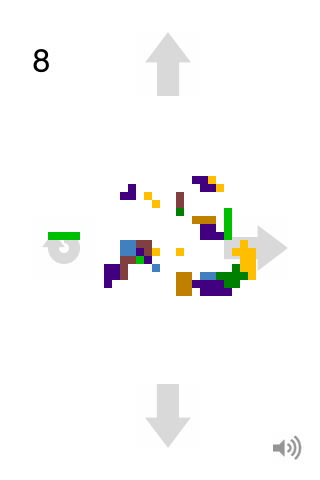 What you can’t see in the screenshot is that pieces fall toward the center from different directions. The “top” of the screen just rotates clockwise, and if ever a piece doesn’t get “attached” to the middle block of pieces before falling off the other side of the screen, it’s game over. Likewise if the pieces build up to the edge of the screen. The way pieces are removed is also different (since obviously there’s no way to make normal “lines”) and 4×4 squares are removed as you create them. Now, anyone who has heard me expound on the virtues of my favorite version of Tetris ever (The New Tetris, for the N64) knows that I love making those 4×4 squares, so this game is right up my alley. The weird thing is that I haven’t really been able to get into the same “groove” with this game that I did with The New Tetris back in the day. I don’t have the strategy down yet, or something, because I still feel like I’m mostly just placing pieces at random. There aren’t many bells and whistles. The scores is simply the number of squares you’ve removed from the board. There’s music, but I haven’t listened to it. Totally worth the asking price of a dollar though. 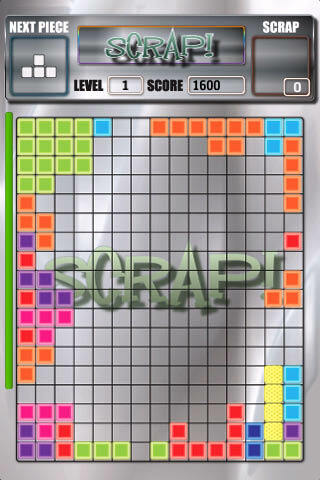 Next up is a game that’s got a mechanism almost the polar opposite of Sequoia Touch, it’s called Scrap!, and instead of pieces falling toward the center, the pieces appear in the center of the screen and you move them to an edge of the gameboard with your finger. There is one edge with a green line on it, and the goal is to make a line of pieces on that edge. Then, of course, the green line switches to another side, and you have to try and make a line of pieces on that edge. I first played the demo of Scrap! quite a while ago, and found myself thinking about it fondly in anticipation of this article. The actual gameplay doesn’t quite live up to what I remember, but it’s probably good for a few minutes entertainment here and there. I recommend you try out the lite version if you’re on the fence about it. I hadn’t seen Perimetros before tonight, which at first glance could be the same game as Scrap!, but is actually quite different. OK, so it’s not that different, but the control scheme is totally different, so they really feel like totally independent beasts. 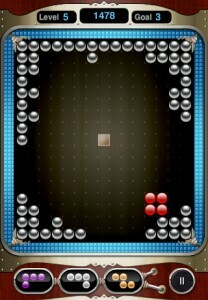 In Perimetros, you’re trying to form a square, or perimeter, all the way around the center of the gameboard. So four sides instead of just one. The controls are tilt-based, which can make things tricky, although the pieces take a relatively long time to “attach” themselves to the wall, which makes up for some of the slop, but can also be really frustrating when you’ve got it in the right place and are just waiting for the next piece to appear. The graphics are really nice, and there’s a cool statistics page though. Block Knights is another tilt-based control scheme where the pieces start in the middle, but this one oddly not as maddening as Perimetros. I can’t say much about it because I’ve only played the lite version for a total of about two minutes, but essentially there are pre-existing blocks on the board, and you want to use those to get lines across the screen (vertical or horizontal), and once the pre-existing blocks are removed, you move onto the next level. Finally, a lot has already been said about Zentomino, I guess because it’s by the same folks who did the popular TanZen tangram app. So I won’t go too in detail here, but Zentomino is basically Tangrams with pentomino shapes. 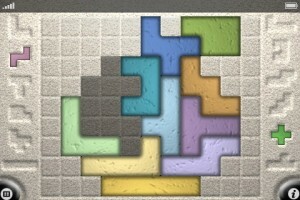 It’s cool, but I’m not as into these “static puzzles” as I am dynamic puzzle games like Tetris. (For more on that topic, you can read my blog post on puzzle game categorization and naming). I think this is all the farther I’m going to make it tonight. I’d wanted to touch on some of the other interesting tetris-like games like CubeRise 3d and Prism (I’m sure there are others), but I’m loosing steam, so I’ll save those for a different post. 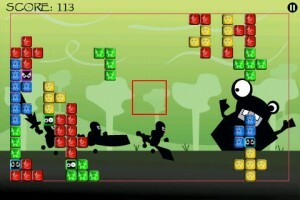 This entry was posted in Links, Reviews, Tetris by Martin. Bookmark the permalink.